You have heard about the Asia-Pacific Economic Cooperation regional forum, also known as APEC, but you are not entirely sure of the format, or how your company or business association would benefit from participation. Here is a rare opportunity to have all of your APEC questions answered, and to bring you up to speed on recent developments at the most recent Senior Officials’ Meeting under this year’s leadership of Chile. On March 27, USCIB will join with the National Center for APEC (NCAPEC) and C&M International to host APEC Essentials, a workshop to help participants understand the fundamentals of APEC including its history, objectives and opportunities. Learn from practical case studies led by industry discussants on how several sectors approach priority issues and leverage the APEC platform. Besides USCIB President and CEO Peter Robinson, the program will also feature His Excellency Alfonso Silva Navarro, ambassador of Chile to the United States; Emily Fischer, principal APEC coordinator, economic policy advisor, U.S. Department of State; Jillian DeLuna, director for APEC affairs, Office of the U.S. Trade Representative; Monica Hardy Whaley, president, National Center for APEC; and Ambassador Robert Holleyman, president and chief executive, Crowell & Moring International; Partner, Crowell & Moring; former Deputy U.S. Trade Representative. USCIB joined with ABAC and APEC Business Coalition partners to advance common objectives during last year’s APEC leadership by Papua New Guinea. Throughout 2018, USCIB addressed a number of issues through APEC to advance discussions across a range of issue. These include chemicals regulation, advertising self-regulation, data privacy, customs, and digital trade. 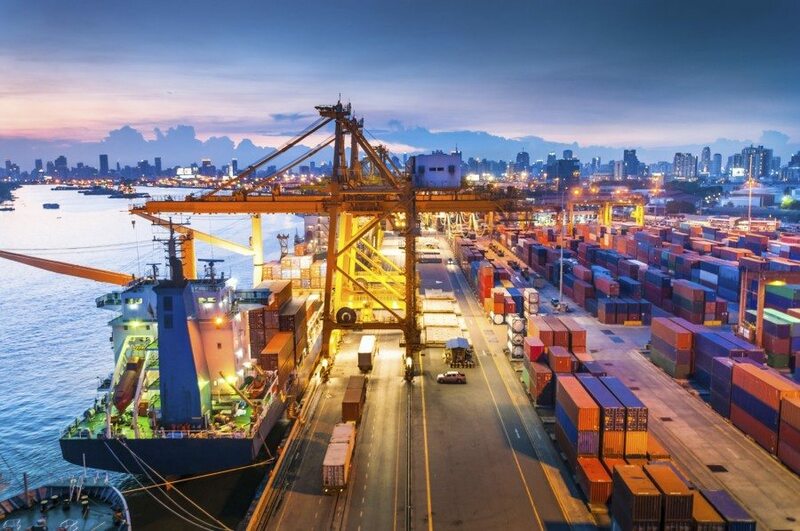 USCIB members and staff have engaged in several APEC working groups, including the Chemical Dialogue, APEC Business-Customs Dialogue, Customs Procedures Virtual Working Group, Alliance for Supply Chain Connectivity, the Electronic Commerce Steering Group and Data Privacy Subgroup. The Asia Pacific Economic Cooperation (APEC) Leadership Summit held its annual summit this year in Papua New Guinea (PNG) November 12-18, but for the first time in the Forum’s history, economies attending failed to reach consensus. The area of contention was around the Multilateral Trade System (MTS) section. This was also the first year that USCIB did not send a delegation to the APEC Summit, however USCIB contributed to earlier meetings this year, including the APEC meetings in Chile held September 11-12, which produced new principles in transit. Following the summit, PNG released Statements to highlight what has been accomplished this year, including a reaffirmation of APEC’s commitment to achieve balanced, inclusive, sustainable, innovative and secure economic growth and prosperity in the APEC region, while pledging to combat protectionism and unfair trade practices. The Statements also emphasized the need to reform the World Trade Organization (WTO) in order to improve and strengthen the body to better address existing and emerging global trade challenges. Furthermore, the Statement noted continuing support for the Work Program on E-commerce to advance initiatives on e-commerce, investment, small and medium enterprises, and trade and women’s economic empowerment. For the 2018 APEC year, PNG chose the theme of “Harnessing Inclusive Opportunities, Embracing the Digital Future.” APEC will be led by Chile in 2019 and will focus on the digital economy, regional connectivity, and women’s role in economic growth. 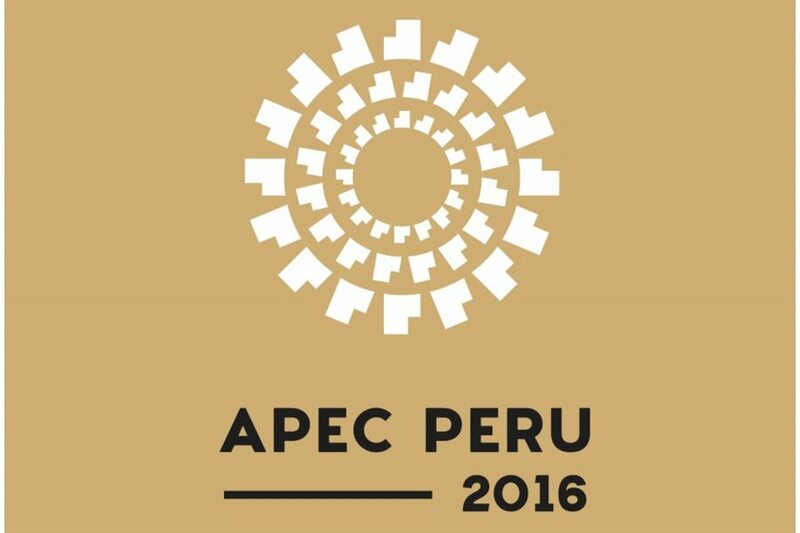 Chile previously hosted APEC in 2004. USCIB represented industry at a workshop that was organized by Chilean Customs addressing Asia Pacific Economic Cooperation (APEC) Transit Guidelines. 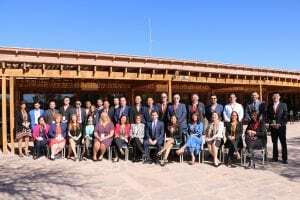 USCIB Director Customs and Trade Facilitation Megan Giblin attended the workshop which was held in San Pedro de Atacama, Chile, September 11 – 12, 2018. Giblin participated in a panel with Chilean and Chinese Customs as well as World Customs Organization (WCO) representatives addressing the challenges and gaps on implementation of the APEC Customs Transit Guidelines. Overall the event was well attended and included participants from several APEC economies, including Chile, China, Indonesia, Mexico, Peru and Vietnam, as well as a handful of domestic Chilean industry representatives. During the months of October and November 2017, USCIB Staff met with Deputy Assistant to the President for International Economic Affairs Everett Eissenstat on U.S. trade policy, discussed OECD policy work with Acting Assistant Secretary of State for Economic and Business Affairs Brian McFeeters, engaged on CFIUS with Treasury DAS for Investment Security and Chair of the CFIUS Aimen Mir, spoke on a NAFTA panel at the Services Summit conference, submitted a comment letter to OECD on the tax challenges of the digitalized economy, raised concerns regarding the work of the OECD Health Committee with the Director of Employment, Labor and Social Affairs for the OECD Stefano Scarpetta, reviewed questions on customs treatment of international postal shipments with Deputy Post Master General Ronald A. Stroman, provided the business view at UNCTAD’s High-Level Conference on International Investment Agreements and much more. 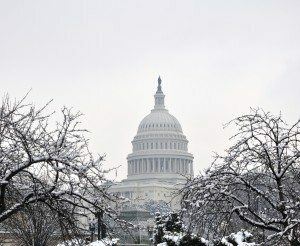 Below are summaries of these and other highlights from the activities of USCIB in Washington, D.C. over the last two months. If you have any questions or comments, or want more information on a specific topic, please contact any of the staff members listed at the end of this brief. Mulligan Talks NAFTA at CSI Summit: USCIB Senior Vice President for Policy and Government Affairs, Rob Mulligan spoke at a Coalition of Services Industries (CSI) summit on October 17, where he outlined USCIB’s North American Free Trade Agreement (NAFTA) priorities. Mulligan noted that NAFTA can be brought into the 21st century by including provisions that ensure cross-border data flows, include strong e-commerce rules, protect against data localization requirements, and level the playing field for firms competing against state-owned enterprises. More can also be done to improve the customs processes with Canada and Mexico. These steps will help U.S. businesses grow and create jobs. Mulligan noted that USCIB member companies strongly support NAFTA and have greatly benefited from it over the last 23 years, so they want the governments to avoid changes to existing parts of NAFTA that would harm trade rather than expand it. He especially highlighted concerns with U.S. government proposals on rules of origin, government procurement, ISDS and a sunset clause. USCIB Lobbies Senate and House on NAFTA and Co-sponsors Reception: As part of a wider Coalition effort related to NAFTA, Rob Mulligan, Senior Vice President, Policy and Government Affairs, and Eva Hampl, Director, Investment, Trade and Financial Services, lobbied the Senate and the House, respectively, in October as the fourth round of talks unfolded. Private-sector representatives spent two full days talking to House and Senate Republicans and Democrats. Issues addressed included proposals coming from the U.S. side in the NAFTA talks addressing rules of origin, government procurement, investor-state dispute settlement, and a proposed sunset provision that would essentially force NAFTA to be renewed at regular intervals. There continues to be great concern in the business community that NAFTA is being set up to fail with some of the proposals that are being tabled. USCIB also co-sponsored a reception on the sidelines of the NAFTA talks, where Hampl amplified USCIB’s central message of urgency, noting that USCIB members rely on the agreement and its benefits for their operations, which provide jobs for U.S. workers. 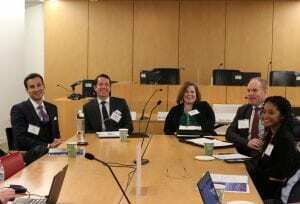 USCIB Digital Trade Working Group Meets with USTR on NAFTA Digital Trade Negotiations: Jonathan McHale, Deputy Assistant USTR for Telecommunications Policy briefed the USCIB Digital Trade Working Group on the NAFTA negotiations at its meeting on November 7, 2017. He provided an update on the digital trade elements of the NAFTA negotiations as well as an outlook for e-commerce at the WTO Ministerial. Jonathan highlighted several positive developments with regard to the digital trade issues and noted areas where the U.S. has proposed additional provisions for negotiation. Members also heard from Nick Ashton-Hart, calling in from Geneva, who has been assisting the Friends of E-Commerce for Development group of countries seeking to have the WTO move forward with work on e-commerce issues. He noted that there is a group of African countries opposing these efforts to address e-commerce more actively in the WTO and urged USCIB and ICC to work with affiliate business groups in those countries. The DTWG also discussed planning for 2018 and will look to prioritize advocacy and engagement that capitalizes on USCIB’s access to global organizations. USCIB Joins BIAC Board for Meetings in Washington, D.C. with Key U.S Officials: The Business at OECD (BIAC) Board of Directors held its most recent meeting in Washington, D.C. on October 30, 2017. Rick Johnston, Citi, who is the USCIB Trade and Investment Committee Chair, also serves as a Vice-Chair of the BIAC Board and hosted their meeting at his office. In addition to a day-long strategy meeting which included a presentation from Rob Mulligan as the representative of the U.S. affiliate to BIAC, the Board Members had the chance to exchange views with a number of key U.S. officials and thought leaders including Everett Eissenstat (Deputy Assistant to the President for International Economic Affairs), Andy Taylor and Matthew Zweig (Staff for House Committee on Foreign Affairs), and Brian McFeeters (Acting Assistant Secretary for Economic and Business Affairs). They also had a lunch discussion with Greg Ip (Wall Street Journal) and Shawn Donnan (Financial Times). Peter Robinson, CEO and President of USCIB, and Rob Mulligan joined the Board for these meetings. Hampl Advocates for Strong Investment Policies in Paris: In October, Eva Hampl, Director, Investment Trade and Financial Services, participated in the meetings of the OECD Investment Committee. In addition to a formal stakeholder consultation, and a dinner with leadership from the Investment Committee as well as the OECD Secretariat, Hampl had bilateral meetings with various OECD investment staff, as well as with officials from the U.S. Mission to the OECD. During the stakeholder consultation, BIAC made strong statements focused primarily on international investment agreements, specifically ISDS and related issues. BIAC maintained the position that investment agreements are very important to business, and are necessary for a robust international investment environment. Unfortunately, the OECD has not yet been able to produce reliable data definitively proving the benefits of IIAs. Hampl also made an intervention on behalf of U.S. industry, underlining the importance of empirical research in this area, and raising concerns about leaving a vacuum of information in the space related to IIAs. Donnelly Speaks Up for Business at UNCTAD’s High-Level Conference on International Investment Agreements (IIAs): USCIB Vice President for Investment Policy Shaun Donnelly was the lead business speaker at the October 9-11 annual High-Level Conference on International Investment Agreements in Geneva. Shaun kept reminding the government, NGO and academic “experts” that strong IIAs, including effective Investor-State Dispute Settlement (ISDS) disciplines, help drive investment flows and all the benefits (economic growth, trade and good jobs) we are all seeking. Donnelly authored a blog post on the UNCTAD IIA Conference, including key talking points from his several interventions. Donnelly Touches Base on Geneva Issues, Tees up Peter Robinson’s Meetings with U.S. Mission: While in Geneva in early October, USCIB’s Shaun Donnelly met with the Charge d’Affaires (the Acting U.S. Ambassador) to the Geneva UN agencies, Ted Allegra. They reviewed USCIB priorities and concerns across a range of UN agencies (World Health Organization, International Labor Organization, and Human Rights Commission, in addition to UNCTAD. Donnelly also had a detailed roundtable with key U.S. Mission staff from multiple U.S. agencies (State, HHS, USTR). Donnelly met formally or informally with other Geneva-based foreign Ambassadors and staff in other UN agencies. About a month later, USCIB President/CEO Peter Robinson was back at the U.S. Mission for a more detailed follow-up session with the Charge, focused especially on serious challenges for USCIB members at the WHO, HRC, and ILO. Peter also was able to have a busy round of high-level meetings at UN agencies and beyond. USCIB Discusses Transparency at OECD SOE Integrity Roundtable: On October 23, 2017, represented USCIB at a special roundtable at the OECD on Integrity, the “Fight Against Corruption and Responsible Business Conduct in the SOE Sector”. As a discussant on the issue of transparency, Hampl made comments addressing the importance of transparency regarding state-owned enterprises (SOEs). 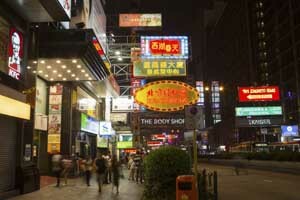 SOEs are increasing in global commerce, disadvantaging companies operating without state support or control. SOEs are particularly vulnerable to corruption due to factors such as a close relationship between government, politicians and the SOE senior management, and in some cases lack of transparency and reporting. To truly level the playing field between SOEs and companies competing in the global market, SOEs must be held to the same standards. Following the roundtable, Hampl also participated in the consultation with the OECD Working Party on State Ownership and Privatization Practices, where she reiterated many of the points made at the roundtable, as well as emphasized the importance of the OECD to focus on the demand side of bribery. Discussing the Cost of Corruption on OECD Anti-bribery Convention and FCPA Anniversary: On November 8, 2017 Eva Hampl, took part in a panel at the event “Celebrating the OECD Anti-Bribery Convention at 20, the FCPA at 40 & Addressing the Challenges Ahead”. She addressed the cost that corruption and bribery present to business, and the important role the OECD plays to level the playing field in that regard. The OECD Anti-bribery Convention is a landmark instrument addressing the bribery of foreign officials. With its multi-disciplinary nature, the OECD has the capacity to take a coordinated approach to the fight against corruption, including addressing such issues as increased adherence to the Convention, increased efforts to address the demand side of bribery, more measures to facilitate voluntary self-disclosure, and addressing the growing complexity and costs of complying with multiple anti-bribery regimes by promoting clarity and greater international consistency. USCIB Urges High Standards in Colombia’s OECD Accession: Through its Business at OECD (BIAC) affiliation, USCIB has been extensively involved in representing member interests in the OECD accession process of Colombia. Eva Hampl traveled to Paris in November with member companies and associations, to attend meetings with OECD officials and various OECD delegations. BIAC led the global business delegation in meetings with Ken Ash, OECD director for trade and agriculture, Nicola Bonucci, OECD director for legal affairs and coordinator for accession, Catalina Crane, high-level contact for Colombia’s OECD Accession Process, and delegation representatives from the United States, including Andrew Haviland, chargé d’affaires, as well as representatives from the European Union, United Kingdom, Sweden, Switzerland, Belgium and Mexico. Colombia started the accession process in 2013, and currently 20 of the 23 OECD Committees have approved them for accession. One of the outstanding committees is the Trade Committee, which is currently drafting its Formal Opinion, which is the final stage in the process. USCIB’s current advocacy surrounds pre-accession recommendations, which we urged the OECD Trade Committee to include in the Formal Opinion. This ask is central to resolving our various business issues. Following the November 2017 meeting, the next meeting of the OECD Trade Committee will be in April 2018. USCIB will aggressively continue our advocacy efforts as this accession process moves forward, to ensure that as many of our priority issues are resolved as possible before Colombia joins the OECD. Checking in with New Economic Leadership at State: On October 26, Shaun Donnelly had a wide-ranging introductory session on USCIB and our key priorities with the then new Acing Assistant Secretary of State for Economic and Business Affairs (the “EB Bureau”) Brian McFeeters plus other senior EB staff. Brian, just back from a tour as Deputy Chief of Mission in Indonesia, is the new Principal Deputy Assistant Secretary (“P/DAS”) in EB but was holding the fort until his new boss was confirmed and sworn in. As a former EB PDAS in his own 36-year Foreign Service career, Shaun had a lot of common experiences to draw on with Brian as he laid out USCIB’s unique role representing U.S. business around the world and our current policy priorities. Former Senate staffer Manisha Singh was confirmed by voice vote by the U.S. Senate on November 2 to be the next EB Assistant Secretary. Ms. Singh, who served as EB’s Trade DAS in the George W. Bush Administration, should be formally sworn in very soon. Here’s a link to McFeeters’ official State bio. Helping Mark 20 Years of the OECD’s Anti-Bribery Convention: The Coalition for Integrity (“C4I”) organized an afternoon long seminar on the afternoon of their annual dinner in Washington marking the 20th anniversary of the OECD’s Anti-Bribery Convention and the 40th Anniversary of the U.S. Foreign Corrupt Practices Act, two key tools in the fight against international bribery. USCIB VP Shaun Donnelly spoke on the panel focused on the panel focused on the OECD’s Anti-Bribery convention (officially the “Convention on Combating Bribery of Foreign Public Officials in International Business Transactions”) which was signed in December 1997. Shaun and fellow panelists evaluated process and highlighted priorities for future work. Shaun emphasized two key areas for concerned USCIB member companies – balancing the now well-established work on the “supply” side of corruption from the business side to bring equal focus on the “demand” side, unmasking and punishing corrupt senior government officials attempting to extorting payments from businesses. Shaun also urged the participating governments to open more of the committee meetings and activities to business and other stakeholders. Talking CFIUS with Treasury: With the long-awaited Cornyn Bill to reform and strengthen the interagency Committee on Foreign Investment in the U.S. (“CFIUS”) finally now getting more attention, USCIB staffers Shaun Donnelly and Eva Hampl ventured over to Treasury (the lead agency on CFIUS) to meet with Aimen Mir, Treasury DAS for Investment Security and Chair of the CFIUS. We had an excellent, wide-ranging discussion on key CFIUS issues with the result that DAS Mir and his boss new Treasury Assistant Secretary Heath Tarbert will be speaking with USCIB member companies at our upcoming USCIB Trade and Investment Committee meeting on December 12. Talking Trade Hither and Yon: Beyond his part-time USCIB work, our VP for Investment Policy Shaun Donnelly remains a sought-after after-hours speaker on broad trade topics both in Washington and on the road. 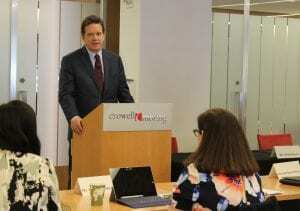 Recently Shaun spoke on Trump Administration trade policies and related trade issues at the Louisville (Kentucky) Committee on Foreign Relations and at his long-ago high school in Indiana. Here in Washington, Shaun was a dinner speaker for the prestigious Foreign Policy Discussion Group and to a “Road Scholar” group as part of a week-long program on “Sovereignty Issues in U.S. Foreign Policy.” Helps keep the old Ambassador off the street and, hopefully, helps in a small way to improve public understanding on important trade issues for our country. USCIB Members Engage with the Internet Society on Internet Governance Issues, Commerce Debriefs on Privacy Shield Annual Review: The ICT Policy Committee Meeting on October 4 featured a dialogue with senior executives of the Internet Society (ISOC) to explore potential collaboration in developing new approaches to increasing challenges in the Internet governance space. It was noted that Internet governance issues have become more complex and the multistakeholder model has come under fire in multilateral organizations due to geopolitical pressures often couched in security terms. Members agreed that USCIB and ISOC should leverage our organizations’ positive multistakeholder experiences to showcase a new alternative. ISOC’s Chief Technology Officer Olaf Kolkman also gave a presentation on ISOC’s Mutually Agreed Norms for Routing Security (MANRS) Initiative, which is aimed at bringing companies and other stakeholders together to develop a set of norms focused on routing security. 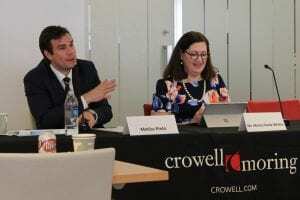 In addition, Nasreen Djouini, International Trade Specialist at International Trade Administration, U.S. Department of Commerce, debriefed members on the generally successful first annual review of the EU-U.S. Privacy Shield Framework. USCIB issued a statement just before the September 18-19 review reaffirming its support for the Framework, underscoring that it is accomplishing its intended goal of creating stronger, more effective means for transferring and safeguarding personal data from the EU to the United States. USCIB Members Shape Discussions on EU Privacy Regulation Impact, Amazon Application, and Board Accountability at ICANN 60: The 60th meeting of the Internet Corporation for Assigned Names and Numbers (ICANN) in Abu Dhabi, UAE, October 28-November 3 was dominated by discussions about the implications of the May 25, 2018 implementation of the EU’s General Data Protection Regulation (GDPR) on ICANN’s WHOIS database policies and the contractual obligations of Registries and Registrars. USCIB member representatives from Amazon, AT&T, Facebook, Google, Microsoft, VeriSign and Verizon actively contributed to their expertise. In addition, the long-running dispute concerning Amazon’s application for the Amazon generic top-level domain (gTLD) was the focus of a standing-room only session of the Governmental Advisory Committee (GAC). The ICANN Board’s abrupt suspension of a review to ensure the security, stability and resilience of the domain name system (DNS) came under tough scrutiny. Barbara Wanner, ICT Vice President, participated in her capacity as the BC’s representative to the Commercial Stakeholder Group (CSG), a position that facilitated important meetings with senior ICANN officials and other key constituencies. Key Inputs to OECD Horizontal Project on the Digital Economy are Influenced by USCIB Members: On October 25, USCIB member representatives from Amazon Web Services, AT&T, Facebook, and Microsoft, made key contributions to a joint BIAC/OECD workshop, “OECD Going Digital Scenarios,” which considered four different potential scenarios for how the digital economy may evolve over the next several decades. They provided feedback about the likelihood of these scenarios occurring and the impacts on business, consumers, and other participants in the economy and society. Selected members followed this up October 26-27, providing industry insights to a joint OECD/Government Japan conference on Artificial Intelligence (AI). Their substantive contributions continued through the week of October 30 at meetings of the Working Party on Communication Infrastructures and Services Policy (CISP), the Working Party on Measurement and Analysis of the Digital Economy (MADE), and the Working Party on Security and Privacy in the Digital Economy (SPDE) as well as at the November 21-22 meetings of the Committee on Digital Economy Policy (CDEP). Working through BIAC, USCIB member input will feed into the OECD’s Going Digital project on the digital transformation of the economy. This is the most ambitious horizontal project that has ever been undertaken by the OECD, the goal of which is to help governments approach the digital transformation of the economy in a coherent, proactive, and whole-of-government manner. USCIB Participates in OECD Conversation on the Tax Challenges of the Digitalized Economy: In response to a request for input by the OECD, USCIB submitted a comment letter on the tax challenges of the digitalized economy. The letter emphasized the need to consider the impact of changes on global growth and the need to ensure that new rules are based on sound principles. The letter analyzed the proposals under the Ottawa principles that have been used to evaluate tax proposals in the past and that the OECD has supported in the Action 1 Final Report. The written comments were followed by a public consultation held in Berkeley, California. The Berkeley meeting was well-attended by USCIB members, including Bill Sample, Chair of the USCIB Tax Committee, Will Morris, Vice Chair of the USCIB Tax Committee (and Chair of the BIAC Tax Committee), and Carol Doran Klein, USCIB Vice President and International Tax Counsel. In addition to global growth and sound principles, business emphasized the need for income taxation to follow value creation; the difficulty of valuing data, that raw data does not create value, rather value is created by what businesses do with data; that the digital economy cannot be ring-fenced (although many of the proposals seem to try to do precisely that); that gross basis taxes are especially flawed given that most businesses fail and that even successful businesses may incur start-up losses for extended periods; and that any short-term solution must be genuinely short-term and comply with both tax treaty and trade obligations. USCIB members also met separately with officials from the German Finance Ministry to discuss their views on these issues. We will also be having a meeting in Washington, D.C., on November 30th, with the French Finance Ministry to these topics. It is clear that there is tremendous political pressure to shift taxation rights. The EU wants new “source” rules that put more profit in market jurisdictions. It seems that the OECD may have a short window to produce results that the EU and other jurisdictions that are seeking more “source” taxation rights consider appropriate. Beyond that time-frame, which may coincide with the April 2018 report to the G20, unilateral measures become increasingly likely. USCIB Submits Comments on Platform for Collaboration on Tax’s Draft Toolkit on the Taxation of Offshore Indirect Transfers: USCIB submitted a comment letter on the taxation of offshore indirect transfers. The comment letter strongly made the point that, if adopted as drafted, the toolkit would reverse fundamental policies on the taxation of capital gains and therefore should be considered (and adopted or rejected) by country delegates, not recommended by staff of international organizations. USCIB Attends and Presents Comments at the OECD’s Public Consultations on Profit Splits and Profit Attribution: Bill Sample and Carol Doran Klein represented USCIB at two days of public consultations at the OECD in Paris on profit splits and profit attribution. Business emphasized that the use of the transactional profit split method should be rare. There was a great deal of discussion concerning risk and the accurate delineation of the transaction. Many of the business commentators argued that applying the TPSM to companies that do not assume the risk under Chapter 1 is inappropriate. Another frequent comment of business on the profit split method was that more clarity is needed particularly on the definition of unique and valuable intangibles. On profit attribution, business criticized the high-level nature of the current discussion draft, making the point that more detail is needed to achieve certainty. USCIB Participates in BIAC Tax Committee Meeting: Bill Sample and Carol Doran Klein participated in a BIAC Tax Committee meeting in Paris that was held at the offices of Baker & McKenzie. There were presentations by a number of OECD staff summarizing the status of a number of important work streams. 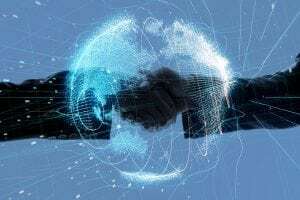 On the digital economy work, the OECD indicated that there is no consensus on any of the options, but external developments are sharing the conversation and the report. The OECD wants to ensure that the interim report provides a pathway to long-term solutions. With respect to profit attribution, the OECD expected that the WP6 would reach agreement on a final version by November 17. A draft should go to the CFA/Inclusive Framework for approval in January 2018. The timing is similar for finalizing the profit split discussion draft. Giblin Represents USCIB and ICC at WCO 60th HSC Meetings: From September 27 – October 6, 2017, Megan Giblin, USCIB Director of Customs and Trade Facilitation, participated in the World Customs Organization 60th Harmonized System Committee (HSC) Meetings in Paris, France. At the 60th HSC, there were 53 individual product classification decisions taken, and a number of issues important to USCIB membership were discussed, including 3D Printers, certain Tobacco Products, Toys, Footwear, and more. Engaging with ICC Customs and Trade Facilitation Commission on E-Commerce: Megan Giblin participated in the ICC Customs and Trade Facilitation Commission Meeting in Paris, France, November 9-10, 2017. ICC provided an update on its engagement in the WCO working group on e-commerce as a co-lead of the sub-working group on Revenue Collection. Other topics covered at the meeting included a discussion on the European Union Customs Code (UCC), implementation of the WTO Trade Facilitation Agreement (TFA), and an update on the WCO Technical Committee on Customs Valuation (TCCV) developments. Customs Committee Members Meet with Key Players on International Postal Shipments: In efforts to address member questions related to customs treatment of international postal shipments, the USCIB Customs and Trade Facilitation Committee had meetings with Manuel (Manny) Garza of CBP, Mr. Joseph Murphy of the Department of State, and Deputy Post Master General, Mr. Ronald A. Stroman, to continue our discussions and information gathering on current and pending regulations. Stefano Scarpetta, OECD, Has Candid Conversation with USCIB Food and Agriculture and Health Care Working Groups: USCIB’s Food and Agriculture and Healthcare Working Groups met with Stefano Scarpetta, director of Employment, Labor and Social Affairs for the Organization of Economic Cooperation and Development (OECD) on October 25, 2017. The meeting reinforced longstanding USCIB and Business at OECD cooperation in other issue areas and the need to improve the engagement between business and the OECD Health Committee. Members also raised several concerns with a draft paper on sustainable access to innovative therapies. USCIB outlined four areas of recommendations to Scarpetta in the hopes of improving future interactions with member states and the health division secretariat, including helping member states understand the role of Business at OECD and its national affiliates, tracking input from Business at OECD and national affiliates, increasing diversity in perspectives among OECD health division staff and better use of OECD expert groups. 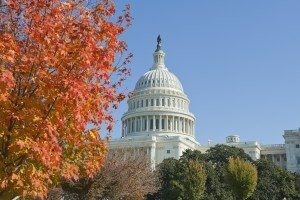 USCIB Intellectual Property Committee is Re-Launched with Focus on Innovation: USCIB has redoubled its efforts to promote American competitiveness with the launch of its Intellectual Property and Innovation Committee. The new committee, chaired by Sharon Reiche, corporate counsel for global patents and policy at Pfizer Inc., builds upon USCIB’s longstanding commitment to improved protection of intellectual property – and the innovation and creativity it underpins – via robust U.S. trade policy and expanded international diplomatic commitments. The inaugural meeting of the new USCIB committee took place on October 18 in Washington, D.C. Special guests at the meeting included John Sandage, Deputy Director General for Patents and Technology at the World Intellectual Property Organization (WIPO), and Paul Salmon, Senior Counsel for International Affairs at the U.S. Patent and Trademark Office. Daphne Yong-d’Hervé, Chief IP Officer for the International Chamber of Commerce (ICC), also addressed the committee via conference call, and highlighted the ICC’s new status as Observer to the UN General Assembly. USCIB Attends 2017 APEC CEO Summit in Da Nang, Vietnam: Mike Michener, USCIB Vice President of Product Policy and Innovation, attended the 2017 APEC CEO Summit on November 7-10 in Da Nang, Vietnam. Under the leadership of NCAPEC, USCIB and other business groups joined a diverse array of American CEOs and other executives (including numerous USCIB members) in both the official CEO Summit programming and other meetings with governments. Meetings were scheduled with the President of Vietnam, Tran Dai Quang, Ambassador Matt Matthews, U.S. Ambassador for APEC, the Trade Minister of Australia, Steven Ciobo, and Najib Tun Razak, the Prime Minister of Malaysia. Michener also participated in a meeting with the Philippine’s Secretary of Trade Roman Lopez. Throughout 2017, USCIB has addressed a number of key priorities through APEC, including chemicals policy, advertising self-regulation, data privacy, customs, digital trade, and women in the economy. Our members and staff have engaged in several APEC working groups, including the Chemical Dialogue, APEC Business-Customs Dialogue, Customs Procedures Virtual Working Group, Alliance for Supply Chain name=”MEM”> Connectivity, the Electronic Commerce Steering Group and Data Privacy Subgroup. Currently, USCIB has just finalized the 2018 APEC Priorities and Recommendations paper. Papua New Guinea will serve as the host economy for APEC 2018. Membership Meetings: The USCIB membership department and policy staff met with representatives from member companies Gilead Sciences and DowDuPont to develop our understanding of their policy priorities for the next year and beyond, and to see how USCIB can better serve their policy needs. New Members: USCIB has recently welcomed Reed Smith LLP and Uber as new members. The APEC CEO Summit provides an opportunity for business leaders in the Asia-Pacific to engage in discussions with APEC Economic Leaders, policy makers, academia and other CEOs on issues facing the region. 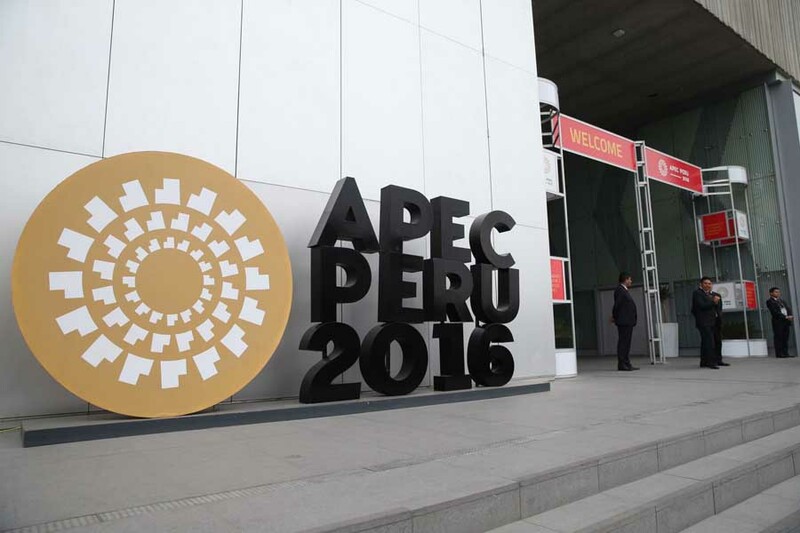 The Summit an example of APEC’s efforts to promote public-private sector dialogue and cooperation. 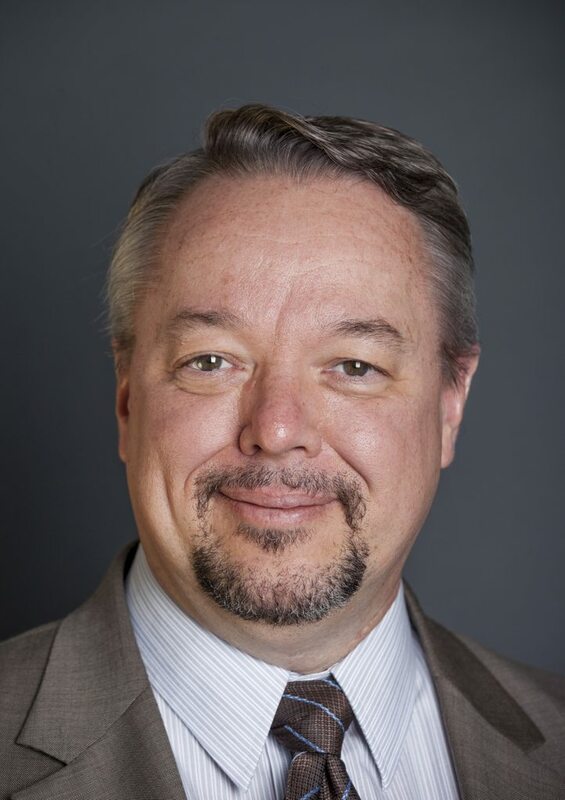 USCIB’s CEO and President Peter Robinson will attend the CEO Summit, accompanied by Mike Michener, USCIB’s Vice President of Product Policy and Innovation. Participation in the CEO Summit is by invitation only. If you would like to attend, please see here. This week, USCIB’s Vice President of Product Policy and Innovation Mike Michener will attend the Asia-Pacific Economic Cooperation (APEC) CEO Summit in Da Nang, Viet Nam, as a business delegate and representative of the U.S. APEC Business Coalition. Organized under the leadership of the National Center for APEC (NCAPEC), USCIB will be joining other Coalition and NCAPEC members on the ground, including CEOs and executives from USCIB member companies. NCAPEC serves as the designated 2017 U.S. Strategic Partner for the CEO Summit, Secretariat to the U.S. members of the APEC Business Advisory Council (ABAC) and as Chair and Secretariat of the U.S. APEC Business Coalition. Throughout 2017, USCIB has addressed a number of issues through APEC to advance discussions across a range of issue. These include chemicals regulation, advertising self-regulation, data privacy, customs, and digital trade. USCIB members and staff have engaged in several APEC working groups, including the Chemical Dialogue, APEC Business-Customs Dialogue, Customs Procedures Virtual Working Group, Alliance for Supply Chain Connectivity, the Electronic Commerce Steering Group and Data Privacy Subgroup. 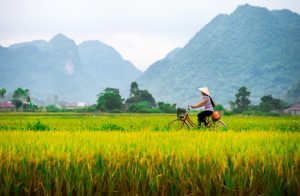 In Da Nang, Michener will meet with USCIB members, leaders from APEC economies and representatives of intergovernmental organizations to discuss member companies’ APEC priorities and USCIB’s work. They look forward to hearing from USCIB members in Da Nang, in addition to joining with Coalition partners, to advance common objectives. The upcoming APEC meetings in Da Nang include, in addition to the CEO Summit, the Concluding Senior Officials’ Meeting, Fourth APEC Business Advisory Council (ABAC) Meeting, APEC Ministerial Meeting and APEC Economic Leaders’ Meeting. USCIB has collected priority issues from its membership for 2018, and will have the USCIB 2018 APEC Priorities and Recommendations Paper available in Da Nang.